Find out why we're the #1 Real Estate company in Tucson! When looking to buy or sell your next Tucson home, make sure you hire only the best. I am an Endorsed Local Provider (ELP) by the New York Times Bestselling Author and financial radio host Dave Ramsey. You need someone who knows this area inside and out! As a Tucson native with 10 years in the Real Estate business, let our experience work for you. Our team of highly trained professionals will help you to find the right home at the right price for you, including all the neighborhood amenities that matter - not to mention the essential criteria you have for your ideal home. When it comes time to put in the offer, I negotiate the offer to get you the best deal, walk you through the inspections and will be by your side at closing. Even after closing, we look forward to keeping in touch with you and what's going on in the market with your new home and more. I work with Tucson Foreclosures, Tucson Short Sales, New homes for sale in Tucson and much more! 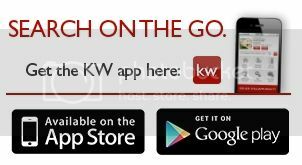 Click image to download your Custom Real Estate App Today! When it's time to move, you need someone who will aggressively market your home, show to prospective buyers, negotiate the purchase contract, arrange financing, oversee the inspections, handle all necessary paperwork and supervise the closing. Our team will take care of everything you need, from start to close. 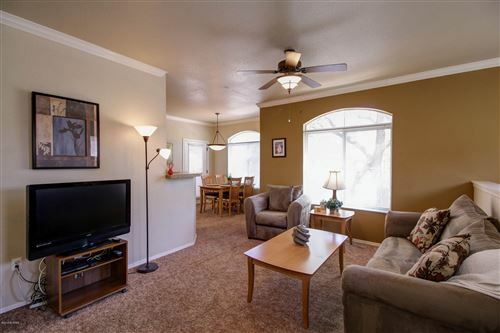 When you're looking to Sell you Tucson home, look no further. We have successfully helped numerous satisfied sellers list, market and move on with their goals and sell their home. In most cases buyers don't visualize living in your home the way you do. With innovative staging techniques, we can make your home attractive to its ideal audience - which can help you get the top dollar in the time frame you need. We will make recommendations as needed such as making repairs or minor improvements, or even simply painting the walls or rearranging furniture can be the difference between a home resting on the market and one that's sold fast. After spending 7 years in the U.S. Navy, I started a career in Property Management in 1999 and transitioned over to Real Estate in 2003 and have been serving Southern Arizonan's since that time. I moved my license to Keller Williams in 2010 and currently am on the ALC (Associate Leadership Council); serve as the Technology Coordinator and eEdge Ambassador. I have experienced all types of markets and will respond quickly and efficiently to help you meet your goals. Traditionally, clients who have worked with my team have been most pleased with the care and service we provide. We believe in and work towards "Win-Win or no deal!" We are committed to learning what our clients' needs, wants and desires are, and ensuring the utmost care to a smooth and easy transaction. "5 STARS!!! I was extremely happy with Craig, as he went above and beyond for the sale of my house.....and always available when needed Review: Extremely happy with everything for sure...5 stars "
"I was in the unfortunate spot of having to short sale my home and I had heard horror stories about how difficult they can be. Not only did Craig get offers quickly, but the whole process was very smooth. He took all the stress out of it and I even got money back at the end that I never expected. Craig and Keller Williams turned a stressful time in my life into a positive experience, I highly recommend Craig to anyone looking for a great realtor!"